Give your child an experience they will never forget! YMCA Cedar Glen is an outdoor day camp just north of Toronto in King Township. Located on 263 acres, all programs are supervised by highly trained YMCA staff. We provide a fun program for campers who want to gain independence, interact with nature, make friends with new people, and develop leadership skills. Overnight canoe trips are a staple that make for the best adventures! A traditional overnight camp with a twist, it's fun for the whole family! We offer all the classics like swimming, boating, hiking, sports, crafts and so much more. You'll be sure to find something for everyone to enjoy! 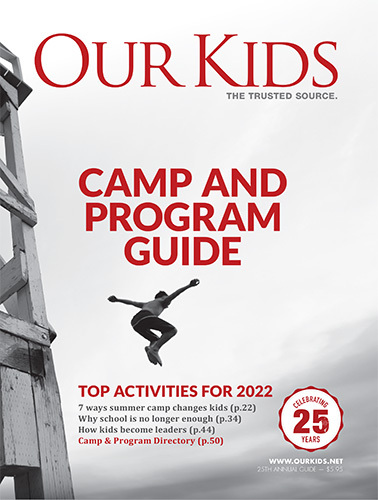 The YMCA of Southwestern Ontario offers two amazing overnight camps for campers aged 5-16 - YMCA Camp Queen Elizabeth (CQE) in Georgian Bay Islands National Park and YMCA Camp Henry in Point Pelee National Park. A co-ed camp offering 1, 2 and 4-week Overnight and 1-week Day Camp sessions. We offer leadership development, a wide range of activities, tripping, a sense of belonging and fun. Come have the time of your life! The K-W YMCA's 3 camps offer a range of activities including a high ropes course and climbing wall, canoe tripping, bmx biking, sailing, kayaking, crafts, archery, and more. March Break programs also available. JOHN ISLAND CAMP is exclusively located in the North Channel of Lake Huron and offers a variety of traditional, leadership, and kayak/canoe tripping programming. YMCA of Oakville camps are found at several locations across the community with activities including swimming, day trips and more. Learn more! YMCA camps also offer leadership programs aimed at older teens who may be counselors. Camp counselors strive to offer children positive role modeling. YMCA summer camps offer a tradition of excellence that dates back to the early 1900's. Over the decades, YMCA camps have built a reputation for excellence and care, with strong leadership among counselors that carries down to inculcating those same qualities in children. Camps are renowned for teaching cooperation, fostering spiritual growth and deepening the appreciation of nature, among kids. YMCA camps create memories that last a lifetime, as do so many kinds of summer camps. See our complete listings of YMCA summer camps above.